The first part of the proposal calls for stripping “Brussels bureaucrats” of their power to manage the migration issue and giving that competency back to the European Union’s member states. He said no country should be forced to take in migrants against its will and no one should be admitted to the EU without valid documents. The EU should also stop issuing prepaid debit cards and “migrant visas” to migrants, Orbán said. Neither should the bloc give any more money to organisations linked to US financier George Soros, which the prime minister said promoted immigration. Instead, he said, these groups should pay for member states’ border protection measures. Further, no one should face discrimination for identifying as a Christian, Orbán said, adding that EU institutions should have anti-migration leaders. The election will decide if the EU has “pro-migration or anti-migration” leaders in future, whether “Europe continues to belong to the Europeans or to masses from another civilisation; whether we can save our Christian, European culture or give up the ground for multiculturalism,” the prime minister said. Orbán criticised Brussels for not focusing enough on family policy, pointing out that at the same time the EU regularly emphasises the importance of legal migration. He said the EU’s programme of legal migration was actually a “front” for replacing Europe’s population with immigrants. who bore heavy responsibility for Brexit, “the migrant invasion” and the “growing conflict” between central and western Europe. “There is an error in the appliance of the Brussels elite,” Orbán said, adding that there was a “bubble”, or “virtual world” in Brussels that refused to accept reality. This was why, Orbán said, it was possible for EPP group leader and spitzenkandidat Manfred Weber, who he noted was a Roman Catholic Bavarian, to “insult” the Hungarian people. He said this was not unusual from a “Bavarian from Brussels”, adding, however, that a “Bavarian from Munich would never do such a thing”. Orbán noted that Hungary has been at odds with Brussels on various issues for nine years now, adding that these disputes were always about the Hungarian government’s refusal to “do as Brussels dictates” if it believes that something would be against the interests of the Hungarian people. The prime minister summed up the achievements of the Juncker commission saying “the British are leaving and the immigrants have come in”. Concerning the future of the bloc, Orbán criticised the concept of the “united states of Europe”, which he said was a power ambition of the “Brussels elite” against nation states. 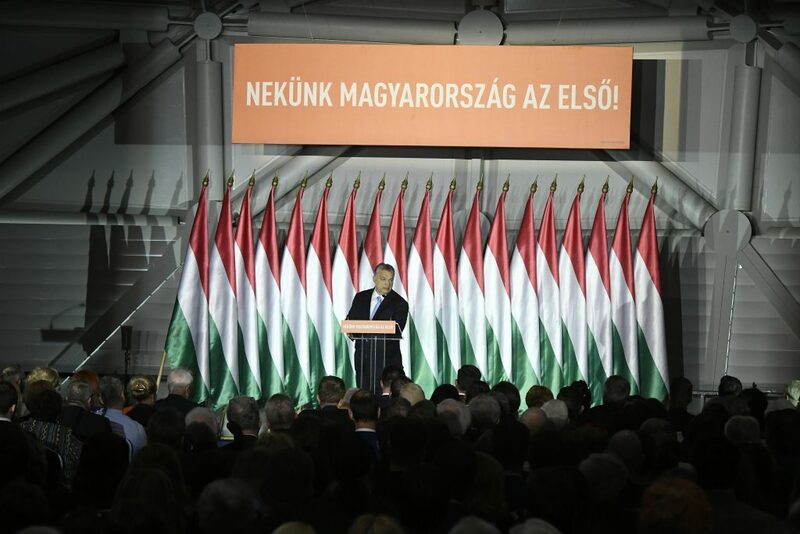 Orbán said, citing a recent study by (pro-Fidesz) Századvég Foundation, which found that EU citizens no longer believe that future generations will be better off than the current one. Orbán said western Europeans tended to be more pessimistic about the future of the bloc. 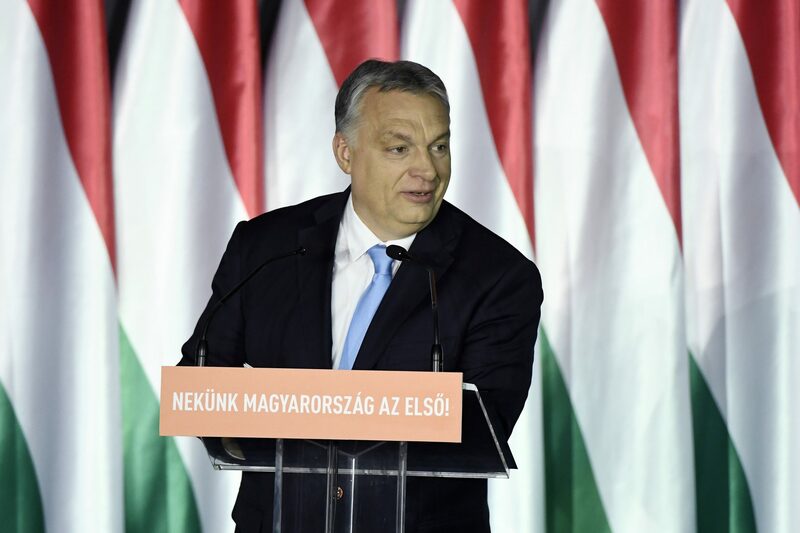 The majority of Europeans also believe in preserving the continent’s Christian culture and traditions, Orbán said, pointing out that 80 percent of Hungarians shared this view. Europeans oppose immigration, Orbán said, adding that European Commission First Vice-President Frans Timmermans, the lead candidate of the European Socialists, on the other hand, was in favour of it. The prime minister called on voters to “show Brussels” in the election that it was the European people, and not the “Soros-affiliated NGOs and Brussels bureaucrats” that had the final say in the EU’s affairs. Europe stands at a crossroads and next month’s European parliamentary elections will be about the present, future generations and the fate of the EU’s member states, Justice Minister László Trócsányi said on Friday. 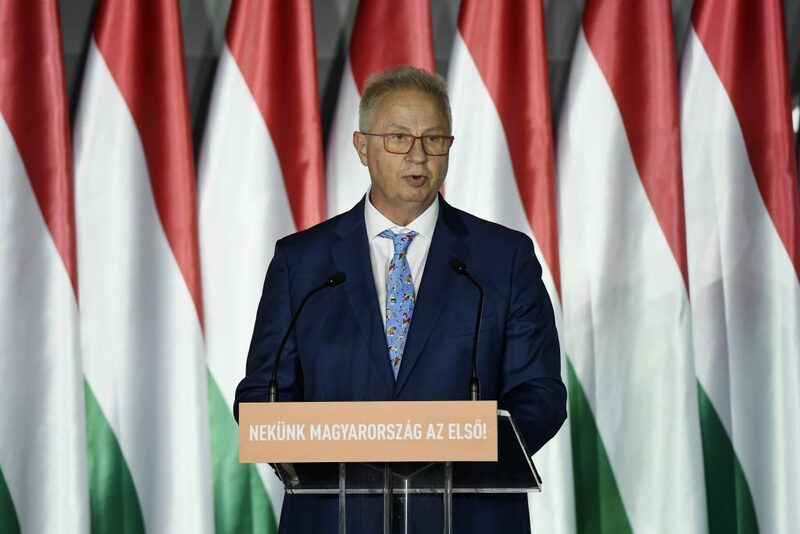 Speaking at the unveiling of the ruling Fidesz party’s election programme, Trócsányi said he believed in the strength of democracy and that the future of Europe was in the hands of its citizens. The minister said European Union institutions had grown out of touch with the bloc’s citizens and that many of the bloc’s decisions were often “far from reality”. Trócsányi said the EU would only be able to carry out its mission if it respects national sovereignty and independence instead of striving to be a “forcefully constructed community”. 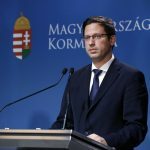 Hungary should be proud that it rejected the United Nations’ migration compact, Foreign Minister Péter Szijjártó said on Friday, adding, at the same time, that “the battle is not yet over”. 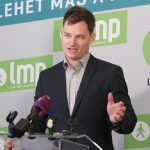 Addressing the official unveiling of ruling Fidesz’s European parliamentary election programme, Szijjártó said it had now become “clear” that the inflow of illegal migrants faced by Europe in 2015 had been “part of a well-conceived plan” to organise a “global population exchange”. He said international organisations like the United Nations also had parts to play in the plan, adding that the UN’s role had been to legalise illegal migration through its global migration compact. 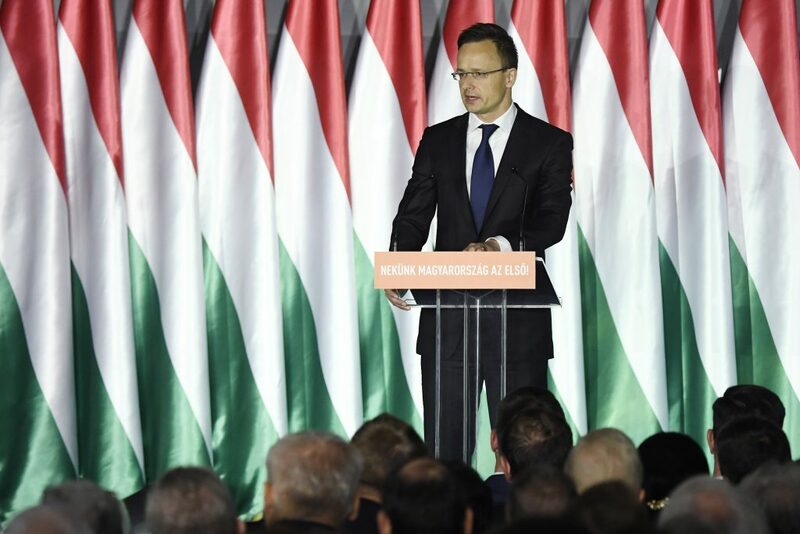 Though Hungary rejected the compact, Brussels “will do everything it can” to make the document mandatory for the European Union’s member states “and decide in our place whom we should allow in and whom we should live together with”, Szijjártó said. “We won’t allow this,” the minister said, adding that this was what voters needed to make clear in the EP elections.